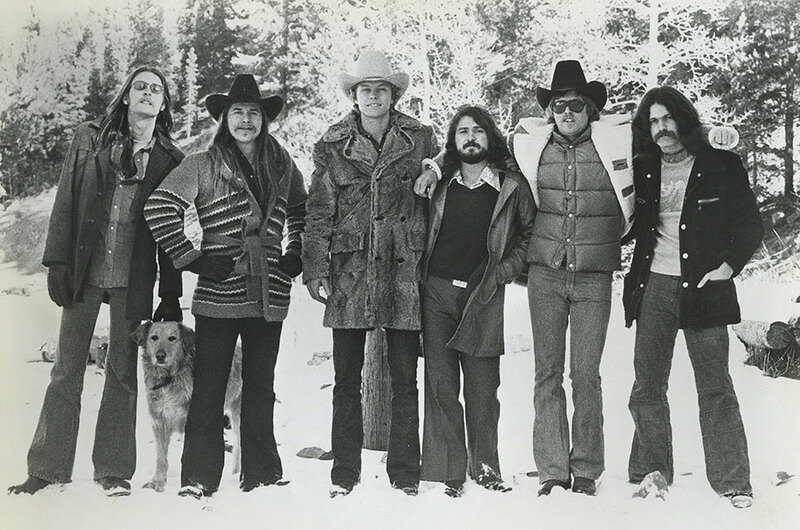 Firefall was founded by singer-songwriter Rick Roberts and former Zephyr guitarist Jock Bartley in the summer of 1974. Roberts was the itinerant young Florida singer-songwriter who’d served as the de facto spark of the “second edition” of the Flying Burrito Brothers from 1970 to 1972 (after Gram Parsons left the band) before undertaking his own career as a solo artist. He’d recorded a pair of albums under his own name. For Bartley, the beginnings of Firefall marked another turning point in his career. He’d started as a student of jazz guitar great Johnny Smith, who had settled in Colorado Springs. With a few band stints around the Denver/Boulder area under his belt, Bartley moved into Zephyr, taking over the lead guitar post of Tommy Bolin. In 1972, he switched over to Gram Parsons’ band, the Fallen Angels (which also featured Emmylou Harris). That year, Bartley first met Roberts, whose touring schedule with the Burritos often overlapped that of Parsons. The third charter member of Firefall was another Colorado latecomer, Mark Andes. After four years as a founding member of Spirit, one of the most influential Los Angeles combos of the late 1960s, he and Spirit’s lead vocalist Jay Ferguson formed Jo Jo Gunne. When that hard-driving rock troop’s first album was released in early 1972, the touring grind began, and Andes realized how far he’d strayed from his roots. By year’s end he’d moved to Nederland, and it wasn’t long before he’d joined with Roberts and Bartley. Roberts began an informal series of jam sessions at his home in Boulder. As the jams became more productive, Roberts thought of a fourth participant, a singer-songwriter he’d met in Washington, D.C., named Larry Burnett, who was a taxi driver at the time. With his addition, the alliance made its initial appearances around the Boulder area in September 1974. At Chris Hillman’s suggestion, the band added drummer Michael Clarke, an original member of the Byrds (1964-1968) and later the Flying Burrito Brothers (with Roberts, through 1972). The five-man lineup took the stage of the Good Earth club shortly after Christmas, and Firefall was born. The local gigs increased with frequency and then, in June 1975, came the break. Roberts, Bartley and Andes had been woodshedding on tour as Hillman’s backup band when Hillman fell ill in New York during a date at The Other End. The club owner accepted a proposal to bring Burnett and Clarke into town, and Firefall finished out the engagement in Hillman’s stead. The first night they played, an Atlantic Records A&R chief was sold on what he heard and saw. 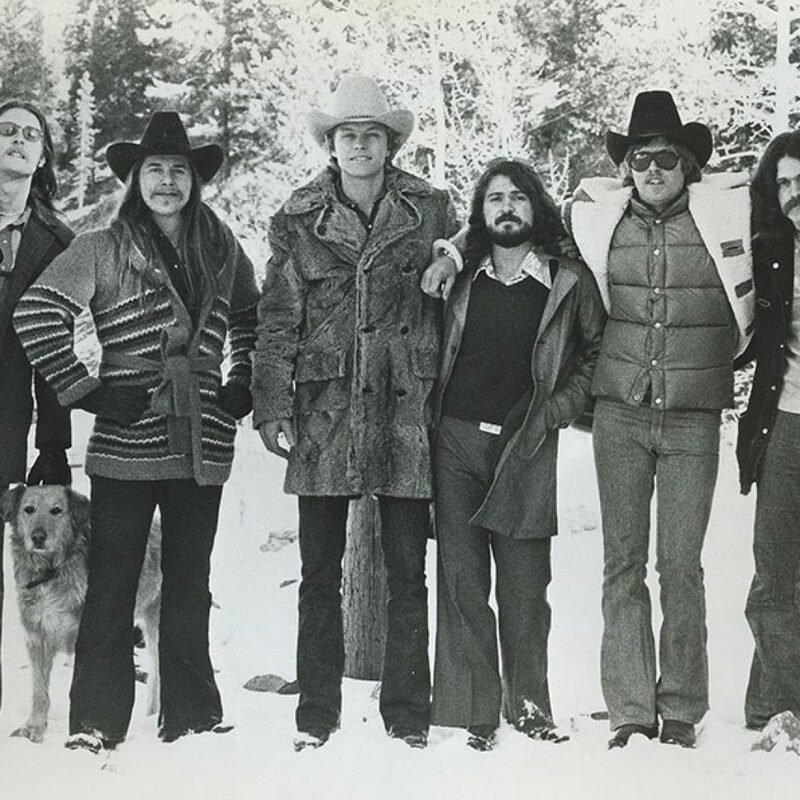 By January 1976, the group had fully completed recording the debut Firefall album with producer Jim Mason (of Poco renown). At the same time, Firefall confirmed the addition of a sixth member who was brought into the ranks during the sessions—David Muse, whose work on keyboards, synthesizers, flute, tenor sax and harmonica gave Firefall a depth that set them apart from other bands in their genre. Firefall cemented a legend that had been brewing in the Rockies. Three singles—“You Are the Woman,” “Livin’ Ain’t Livin” and “Cinderella”— together sold in excess of one million copies, and the album turned the magic platinum mark. Firefall notched more hits—“Just Remember I Love You” and “Strange Way”—and two more best-selling albums in the late 1970s, Luna Sea and Elan. The band’s heady time culminated in an opening slot for Fleetwood Mac’s “Rumours” tour in 1977, which included a hometown Folsom Stadium gig before 61,500 Coloradans. There was broad populist acceptance for a rock ‘n’ roll band that avoided the trappings of glitter or heavy metal flash in favor of acoustic guitars, mellow pop melodies and vocal harmonies. Firefall’s success with softer ballads also stereotyped the group. “Someone along the chain of consumption—be it in merchandising, radio or the actual listening audience—preferred that we be a ballad band,” Roberts said. “In the short run, the ‘Colorado sound’ was a good marketing tool. In the long run, musical styles and fads come and go. When the Colorado sound became passé, it was an albatross. It wasn’t really accurate. I thought of us being in the same category as the Eagles, in terms of our sound being rock with a lyrical and melodic content. Many lineup changes and internal tensions followed. The band ran out of commercial momentum by 1980, and members began to leave. Bartley continued to tour with the Firefall name.